From shaved ice to tiki drinks, local bartenders and chefs experiment with the island powder. 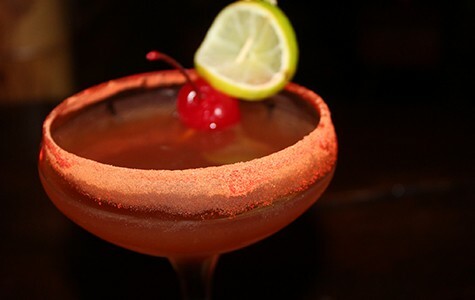 A li hing-rimmed cocktail from Kona Club. When I relocated from Guam to the Bay a few years ago, it wasn't long before nostalgia set in and I began craving the comfort of the island meals and snacks. But I was unable to find most of my childhood staples in local markets. I'd phone home and read my family a wish list, detailing what I hoped the next care package would contain. These requests varied, dependent upon cravings, but a few items always made the list: dried mangoes, chocolate covered macadamia nuts, and anything covered in li hing — a plum-based powder unmistakable for its bright-red appearance and salty-sweet taste. Li hing mui is wildly popular in American islands, including Hawaii or Guam, where Cantonese immigrants first introduced to the fruit to locals in the 19th century. Inspired by its unique flavor, the food scene on these islands adopted li hing and integrated it into their own culinary creations. Though the plum is still popular in its pickled and dried forms, li hing is now more commonly consumed as an additive in its powdered form. The plum skins are pickled in a solution of salt, sugar, and licorice, and then ground down into a fine, red-orange dust. But how does it taste? Li hing balances on a unique tripod of flavor: equal parts salty, sour, and sweet. At first, the flavor touches your tongue with a soft saltiness, like a faint MSG. Then, it becomes a kind of calculated sour — enough of a zing to widen your eyes, but insufficient to pucker your face. Finally, it settles into an almost artificial sweetness that melts onto your tongue. Although each effect is striking, the three-part experience of li hing is so well balanced and simultaneous that it's hard to tell where one flavor begins and the other two end. Because of its multidimensional taste, li hing has the ability to enhance a wide variety of flavors. As a result, the bright-red powder was sprinkled on nearly everything my childhood sweet tooth craved: li hing gummy worms, li hing sour apple candies, fresh mangoes covered in li hing, dried mangoes covered in li hing — you name it. On fresh fruit, its saltiness emphasizes the fruit's natural sweetness by offering a counterbalance. On sweets such as shaved ice or candy, the sour side gives a citrusy spike to an otherwise flat sugar treat. To my delight, island-themed dessert parlors throughout the Bay Area have been able to satisfy these li hing cravings (between care packages). Aloha Pure Water Shaved Ice (2300 El Portal Dr., San Pablo) serves li hing as a topping, and it tastes just like home when sprinkled over POG-flavored shaved ice. For those Disneyland Dole Whip fanatics, Pineapples (296 Ocean Ave., San Francisco) also uses powder to top the famous pineapple-flavored soft serve. The guys at Sugar & Spun (315 S. Maple Ave., San Francisco) have also incorporated li hing into their cotton candy, one of their featured flavors being li hing mixed with pineapple. Li hing has also infiltrated the bar scene, mostly with tequila-based drinks. 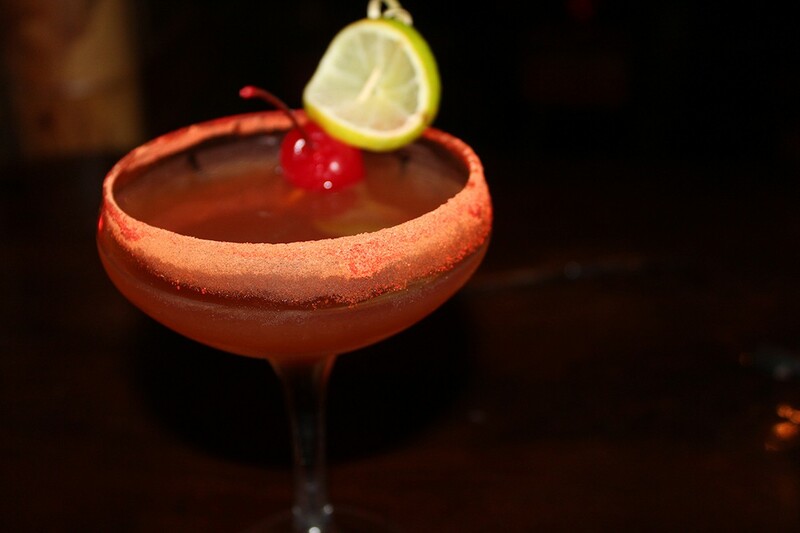 Li hing mui is either infused directly into tequila (drop a few of the dried plums into a bottle and let it sit for a few days) or the powder can be used to replace salt around the rim of a margarita. At Oakland's Kona Club (a tiki bar, naturally, at 4401 Piedmont Ave., Oakland), your margarita will indeed be served with an accompanying halo of li hing. But when I asked Connor Koreski, Kona's bartender, to fix me up their best li hing inclusive drink, he opted for a concoction on the bar's original menu — one that he feels works better with li hing than the average margarita. Koreski poured a refreshing daiquiri, adding a generous splash of passion fruit juice to the classic formula of white rum and lime juice. "The li hing gives it a salty-sweet kick," he said. "And it pairs really well with the passion fruit." There's something about both passion fruit and li hing that seem optimally tropical, And despite being two very distinct flavors, they fit together in a way that was inexplicably simple. The mainland is slowly but surely catching on to the flavor godsend that is li hing. However, local chefs are missing the opportunity to do what islanders have been doing for decades: incorporating it into savory dishes. In both Hawaii and Guam, li hing is used in salad dressings, meat marinades, glazes, and more. So, consider this my call to action: Li hing is near and dear to my heart, and it can be to yours, too, if you embrace it in your cuisine. If you use it, I will come. As the Trump administration attacks marginalized groups, socially conscious cafes aim to provide a safe space. The San Francisco MC and activist makes hard-hitting anthems that champion girl power and Filipino pride.